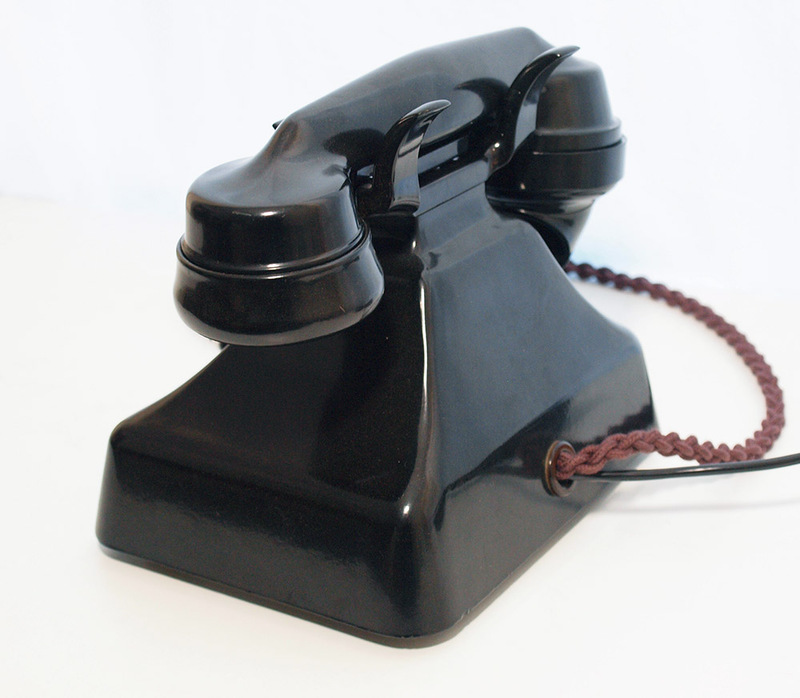 This is a lovely early telephone. 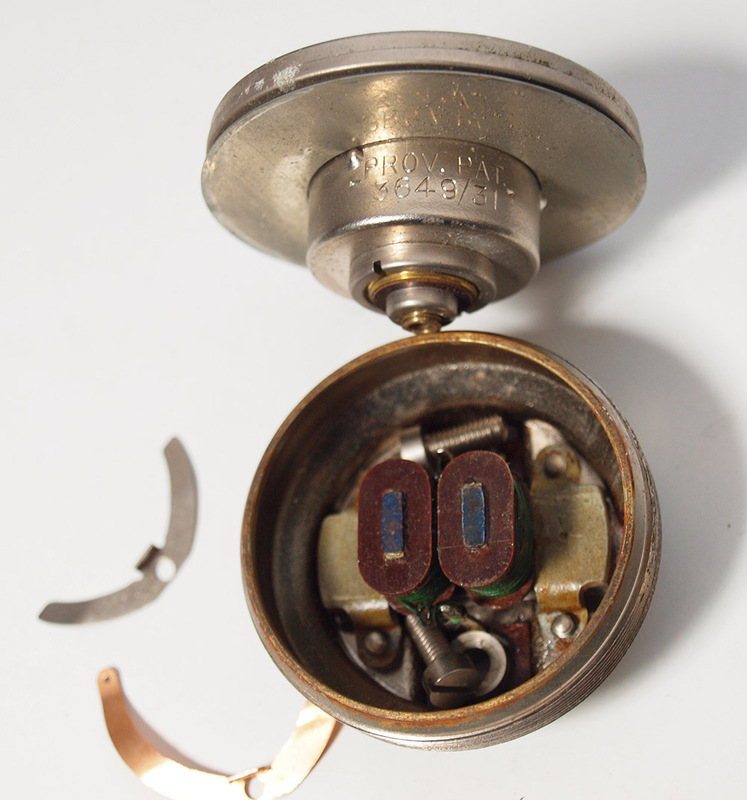 The body has one rear entry hole at around the same height as a GPO 200 series and the dial mount section is a metal insert. 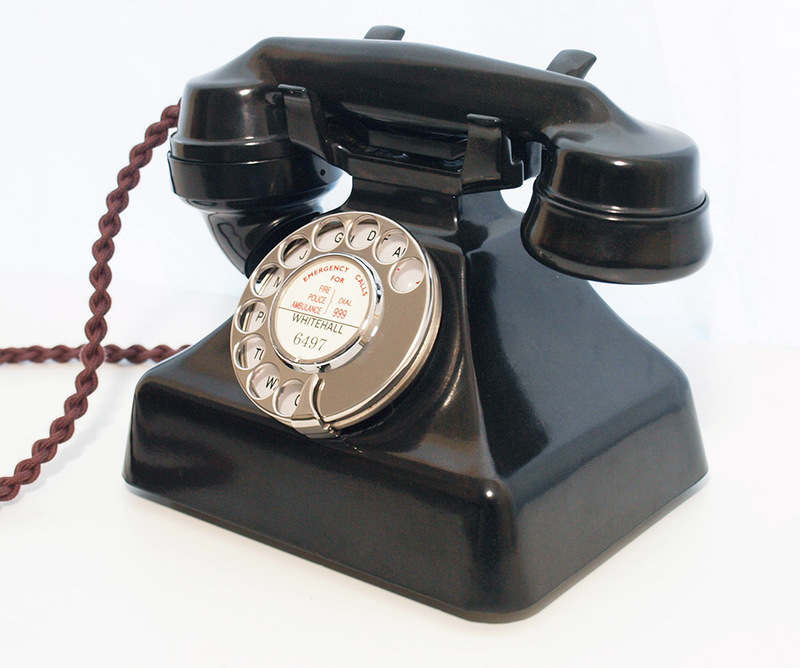 The internals are very unusual and are made of metal rather than Bakelite. The bells and coil are mounted on a single unit. This was obviously all changed a few years into production. note the GPO 162 cradle rather than the GEC larger moulding. This one has been stripped down and rebuilt after each part has been cleaned and polished. 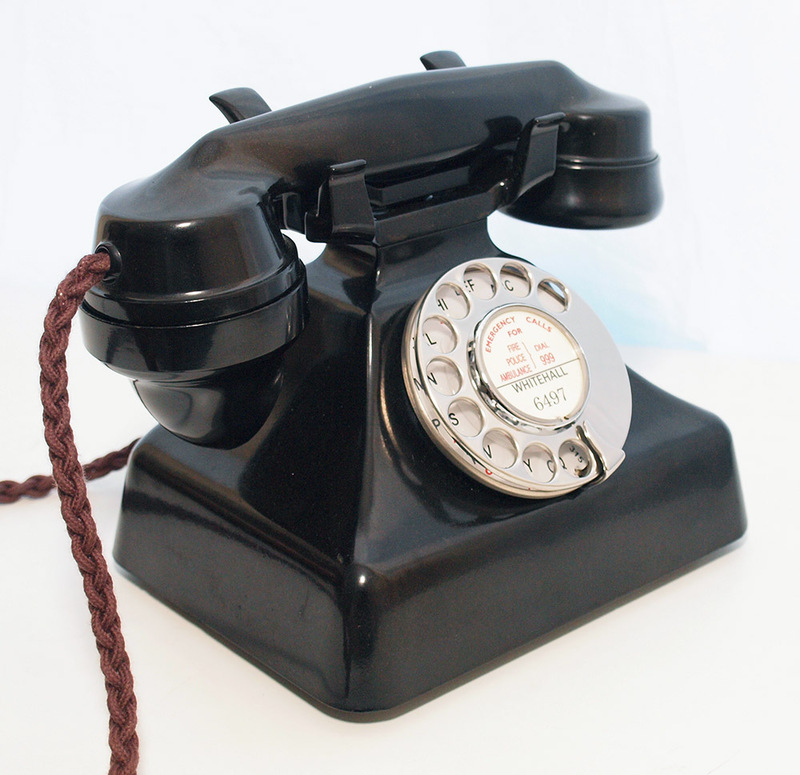 It has an electronic microphone fitted and a best quality all British manufactured braided handset cord. 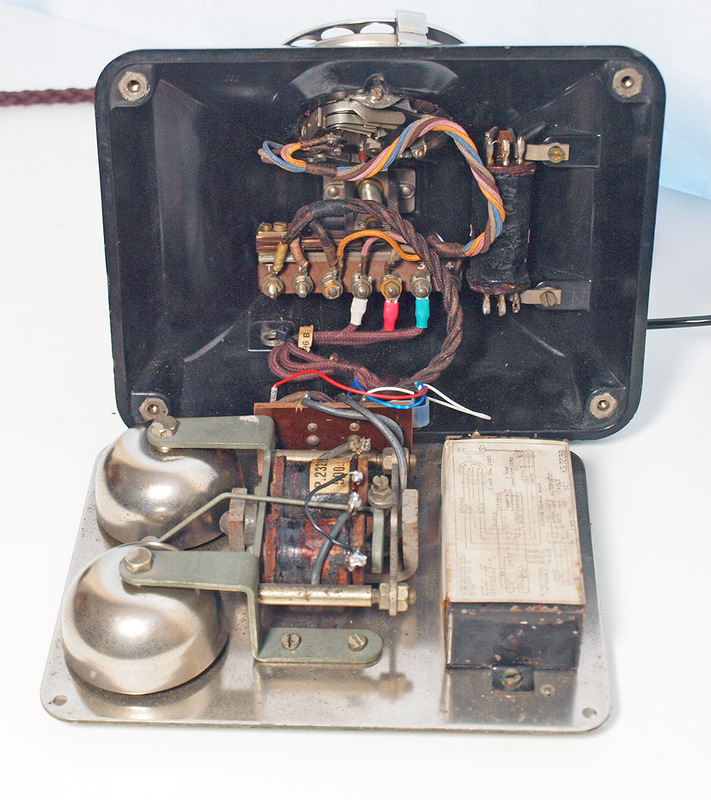 I have also kept the unusual original transmitter and receiver. Both have been replaced to allow perfect modern use. 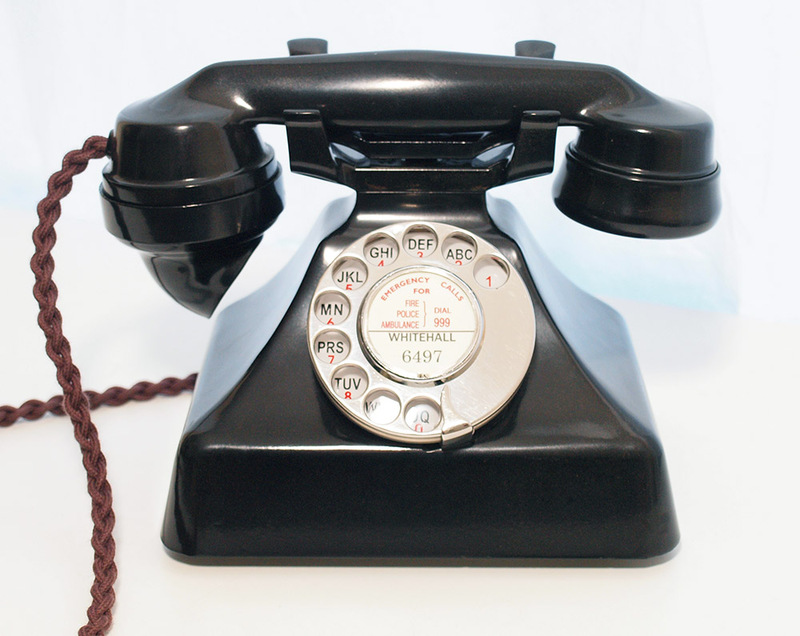 It is fully working to both dial out and receive perfectly. It has a GPO No12 alpha numeric dial and was probably upgraded in the 1950s with a dial. 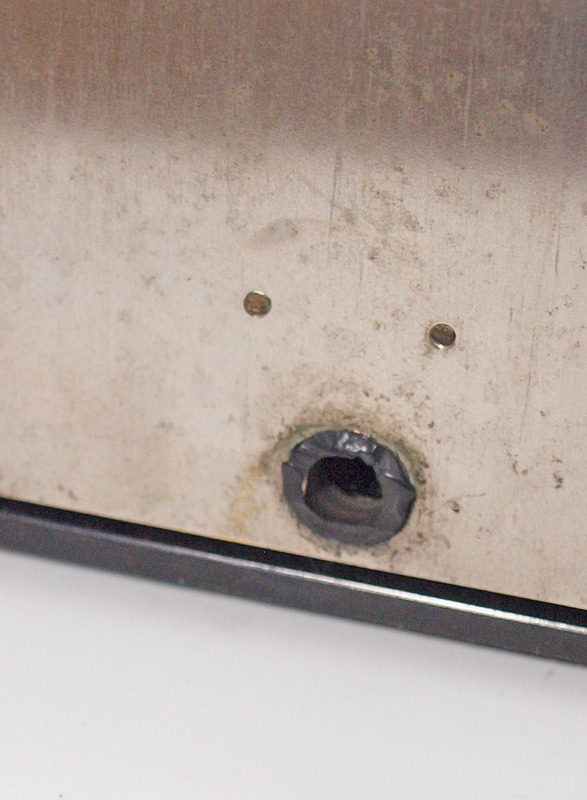 I have replaced the feet a line entry under the base has been damaged.